There was a time when a farmer’s gut used to guide decisions on when to till, when to plant, and how much the harvest would actually bring in. 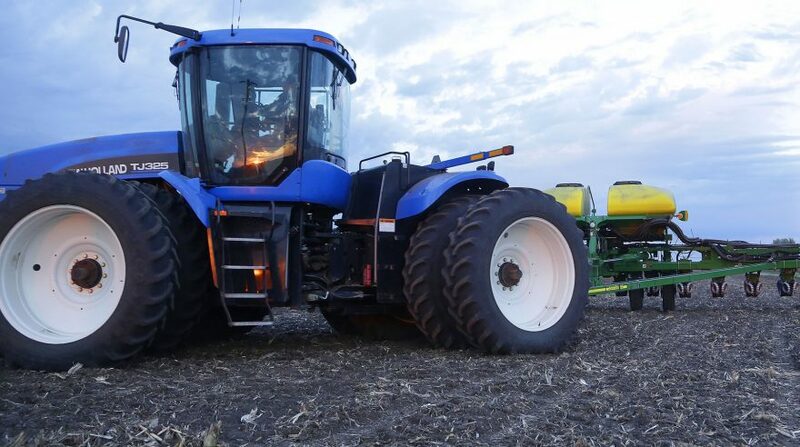 Now, a farmer with the right tools can collect much of that information from the seat of a tractor, through touch-screen technology that spits out readings from sensors located across acres of fields and through other digital applications. Technology is bringing vast changes to much of the agriculture industry, and it promises to propel more change in the years ahead. This week, the giant tech company Microsoft announced plans to partner with the Future Farmers of America to create a pool of academic resources focused on introducing students to tech’s evolving role in agriculture, and in job markets connected to farming. Those academic resources would flow to a potentially massive audience: The FFA currently serves more than 650,000 members, ages 12-21, in 8,500 local chapters around the country. Many of the lessons are likely to center on “precision agriculture,” or tech that gives farmers much more exact information about farm management and the returns from crops. The academic materials–expected to start rolling out next calendar year–will also feature lessons on the use of data, artificial intelligence, cloud technology, and new communications systems in farming. The new digital tools and systems are not only changing agricultural production, they’re creating jobs in the agriculture industry, in the design of applications, data science, and other areas, the two organizations say. Part of FFA’s mission is to prepare students for those jobs. “We’re going to be working side by side with curriculum advisors at the FFA to get the best and the latest,” said Mary Snapp, Microsoft’s corporate vice president and the head of Microsoft Philanthropies, in an interview. The Redmond, Wash.-based tech corporation also sees the program as part of a broader effort to help communities that haven’t benefited yet from tech advances. In a statement, the company said the tech-based agriculture program builds on an earlier program, TechSpark, which was meant to create job creation in smaller metro areas. The goal is to have a broader range of communities “take advantage of this technology and not be left behind,” said Snapp. The new tech-meets-agriculture educational program launched by Microsoft and FFA is called Blue 365, an allusion to the color associated with ag organization’s jackets worn by its members. As an organization, the FFA seeks to provide students with education on agriculture, career guidance in fields both in and outside of agriculture, and broader development in leadership, workplace behavior, and other areas. Students in the FFA have to be enrolled in agriculture-focused courses to be members. That instruction is typically provided during the school day. A supervised agriculture experience, often completed outside of school, is also required for membership. The tech lessons developed by the FFA and Microsoft will be delivered through those in- and out-of-school experiences, said Blaze Currie, team leader for the FFA’s leadership, education, assessment, and development division. The materials produced by the two organizations are not meant to serve as a full-scale curriculum, but as supplementary lessons to be woven throughout agriculture instruction, Currie said. While the format for the lessons has yet to be determined, it is certain to include a lot of digital content, he said. A key moment in developing the lessons will come in October at the FFA convention, when Microsoft and AgriNovus Indiana will host an event in a 17,000-square-foot space to showcase cutting-edge tech in agriculture for students. The organizations will be recording much of the content and turning it into video and other materials that can be used for Blue365 lessons, Currie said. The FFA has partnered with private-sector organizations in the past, such as John Deere, Cargill, Ford, and Discovery Education in developing resources for students, Currie said. The arrangement with Microsoft is distinct in that the corporation, unlike FFA’s other corporate partners, is not not typically associated with agriculture, he said. It is the national FFA’s first partnership with a major tech company. Curry said that while it’s probably important for companies like Microsoft to have the next generation of students see it as a “trusted technology partner,” a company can only accomplish that by promoting “valuable and useful experiences” for those students in an education program. The new partnership with Microsoft will accomplish that, he said. While the partnership will almost certainly increase Microsoft’s visibility in different communities where the FFA has a strong presence, the company’s goals are educational, Snapp said. “This is not about Microsoft’s products,” she said, but about improving students’ digital skills and their ability to apply them to agriculture. Microsoft goes agriculture 🙂 Good review, it would be good to learn more which agriculture vehicles will be used for the program. It’s pretty clear that some cutting edge models will be involved, would be great to learn more about them.